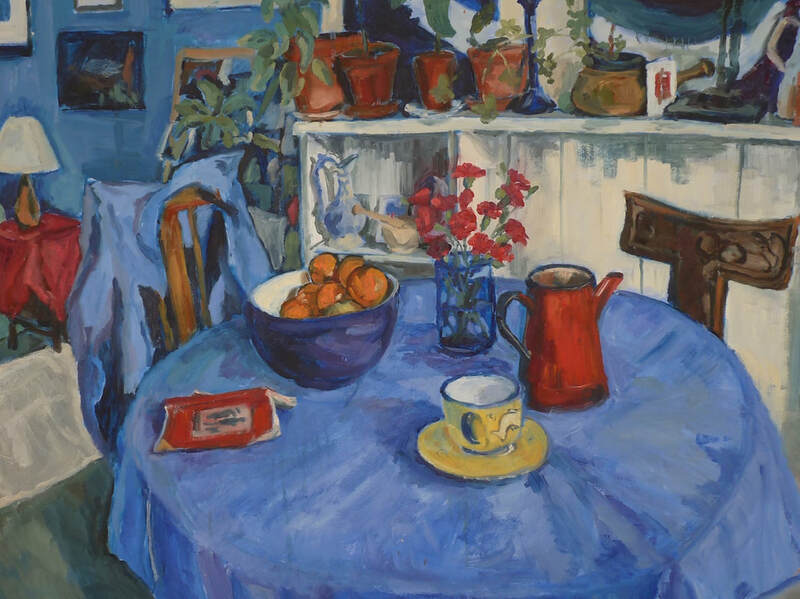 My paintings are influenced by my surroundings and places I have lived, including the Isle of Lewis and Argentina. 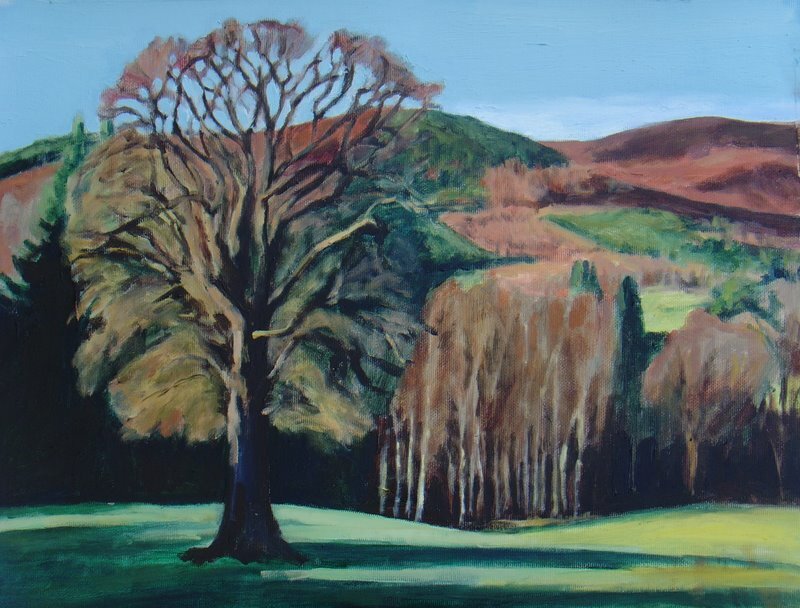 I now live in Pitlochry where I grew up, and enjoy painting the changing light through the seasons in Highland Perthshire using oils, acrylics and mixed media. My abstracts are explorations of balance, colour and texture and are often influenced by music and poetry. I studied at Leith School of Art and Cyprus College of Art, and am a graduate of Edinburgh College of Art (Drawing & Painting) and University College Dublin (Philosophy & English). 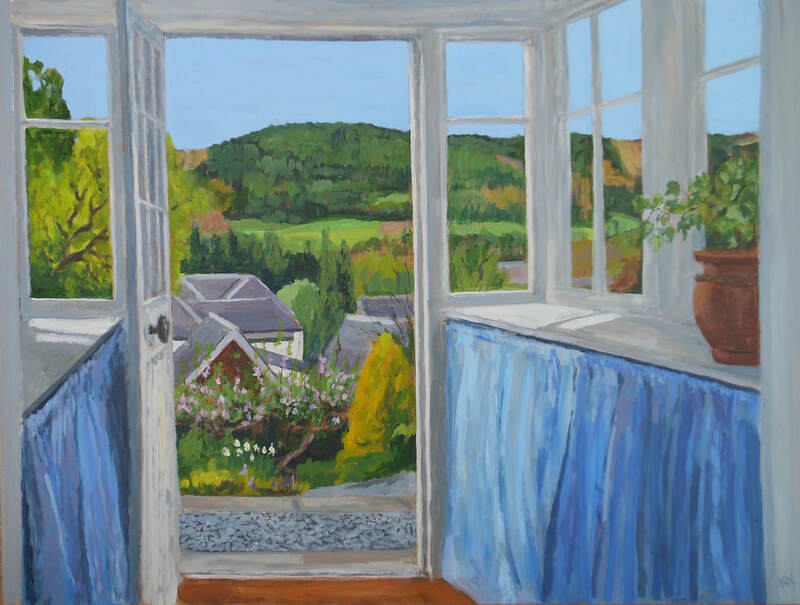 My teaching experience includes several years as an Open College of the Arts tutor; work in schools; teaching local community classes; and workshops in different aspects of painting and drawing at Pitlochry Festival Theatre. I work for Perthshire Open Studios and also offer web design for individuals and small businesses - Darach Web Design. Painting has taken a back seat to other commitments in the last couple of years but I hope to be able to focus on it again soon. Previously I have exhibited at a number of galleries and venues in Scotland and Argentina. A selection of my paintings, prints and cards are currently available at Melt Gallery, Pitlochry. Card packs are available here.